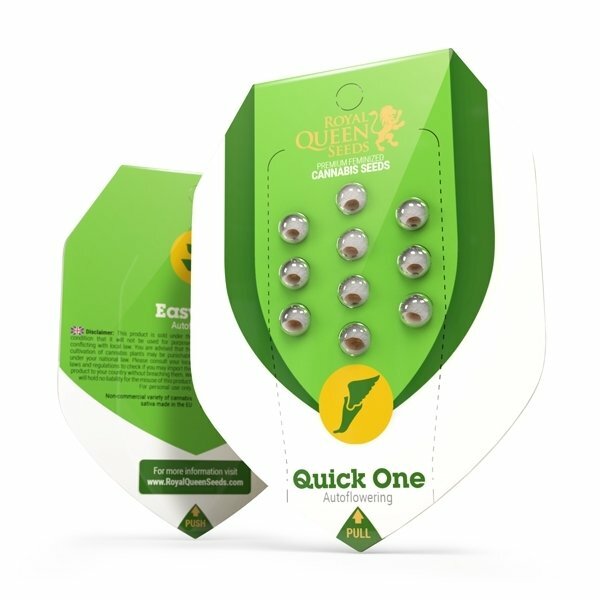 Quick One by Royal Queen Seeds is a crossing result between the autoflowering Ruderalis with a flash growing Indica. 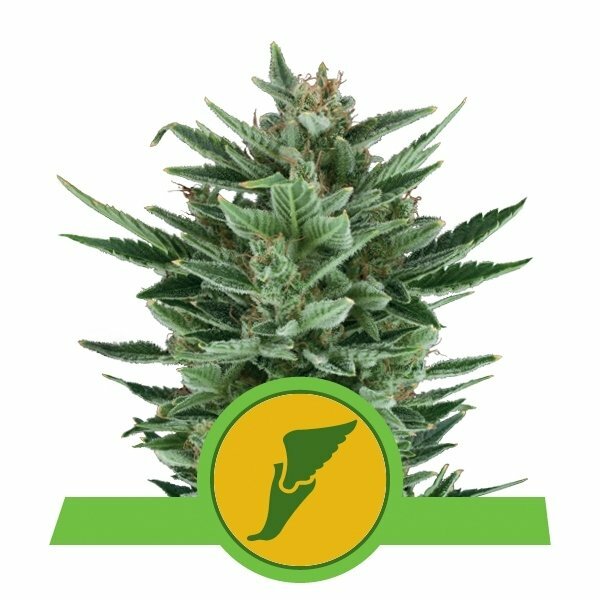 This feminized marijuana is a fusion of Sativa 10%, Indica 60% and Ruderalis 30% genes. During its first appearance it was one of the quickest growing breed on earth. 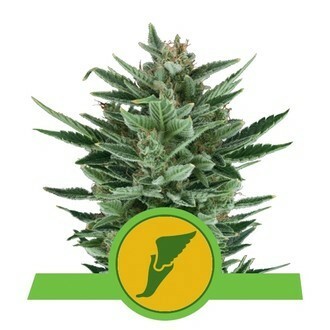 The Royal Queen Seeds feminized Quick One Canadian ancestors came from the auto Lowryder. The latest version is a cross of Williams Wonder, Northern Lights and Ruderalis genes. The final feminized hybrid is a majestic autoflowering ultra fast growing breed, paying almost no importance to the light conditions. The plant will take only 9 weeks to be entirely mature. Quick One is certainly tiny for a cannabis plant, reaching just between 50 and 60 cm height in indoor farming. If grown properly she can provide up to 45 g per plant and some farmers have achieved even better result. The smoke will spread an intense flavor with dominating lime odor. The taste is mild and nice, characterized by a pleasant stoned effect.